RunningSwede has been trying out some eye wear for they upcoming Spring and Summer. We have been trying to find something for every runner out there. Enjoy! BTB is a smaller brand focusing on different kind of activities. You can find several of different option for different activities on the BTB website . All eye glasses are marked retail prize under $50 and a re a great option if you run on a budget. I have been testing the eye glasses during sunny days and more grey cooler days. Both 430 and 440 fits really well on your face, but I would recommend both eye glasses for smaller faces as they run small. 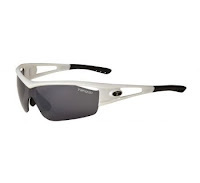 Frame is very thin constructed and the glasses are really light weight, barley noticeable when you are running. The lenses are not over sized. The 430 fits really close to your eyes and I felt at times that my eyes couldn't breath, my eye laces also touched the lenses, which was annoying at times. 430 comes in a brown tint and 440 in a dark grey and they are both doing the job in all weather conditions. I prefer a the dark grey tint. You don't have to worry about these eyeglasses to fog up, which is a huge problem for some runners. Great light weight option that does not fog up on your run. Definitely affordable for under $50 (retail for $39). If you hava a bigger face these glasses might not be for you. On the down side the BTB eye glasses does not come with replacement lenses. Tifosi is a brand who offer a wide variety of eye wear. Any athlete can find eye wear that cover their needs. RunningSwede tried Tempt and Logic. All Tifosis eye wear are really high quality and durable, no difference with two glasses we tried. 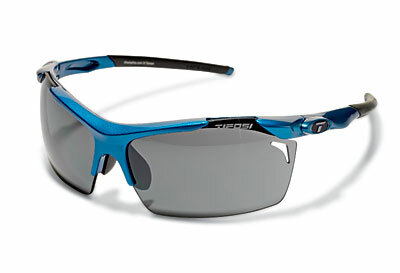 Logicg has more of a full face lens and Tempt is a bit more of traditional running bicycle eye glass. Tempt came with Fototec technology lens and Logic with there lenses that are easy to change. Both eyeglasses comes in way under $100. In my opinion an insane bargain! Both Tempt and Logic fit really well and the slippage is none, both eye glasses can be adjust by the noose tip and ear. Logic runs a bit bigger and take more adjustments to fit right. With the Temp no adjustments were needed. The Tempt fototec lens has been working great for me during my spring runs and within the few seconds the lens adjust to current light. The Logic comes with three lenses and are very easy to change, you will find a lenses for any weather condition. Neither of Tempt and Logic has fogged up during my runs. 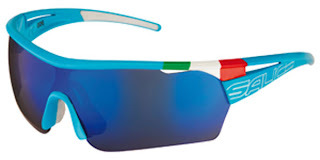 As mention above Tifosi cover all needs you can possible have when it comes to running eye wear. I tried tow of Tifosi's many eyeglasses and I'm sure the outcome would have been the same with all of them. Really good eye wear with quality and good looks! Salice is a new brand in US but have been seen in Europe on several of the cyclist in the Tour The France peleton . Thee 006 carry a bigger lens that does not let any Sun/wind get to your eyes. The fram and noose tip is adjustable for a great fit. 006 comes with two lenses that are easy to change. UV400 lens rating ensures protection against 100% of UVA, B and C rays. Salice have a several of options and something for everyone. The design scream Italian fashion. Salice 006 is the largest eye wear in the test but they fits well and does not feel over sized during your run. Although if you are concerned how you look and have a smaller face you might reconsider these glasses and choose something like Salice 005. The lens does not fog up and the lens I have has green tint and a red-ish light. A very comfortable light that blocks the sun well. Salice comes in around $100 and I think the price is fair. 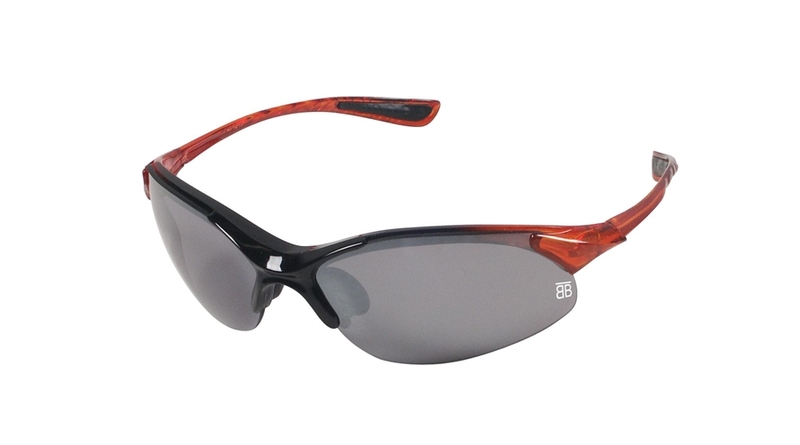 Salice are durable and have high quality lenses. Even if the 006 might look big they dont feel big during your run and as mentioned before 005 might be a better option for small face runners. Salice makes a great debut on the US market and fits runners as well as cyclists. Julbo has been making attractive and high quality sun glasses for years and the Dust is no exception. My Dust came with Zebra lens technology which is a photochromic lens in protections categories 1 to 3. Ultra-clear when unactivated, it offers excellent visibility in very low light conditions and darkens extremely quickly to protect the eyes when exposed to full light levels. The Zebra lens has been working really great in all weather conditions. Dust also come in a cheaper edition with interchangeable lenses. The fit is snug with a secure fit. Frame is adjustable but not the noose part. I did not need any adjustments in order to get right fit. The design is great and the Dust has bold colors, mine is blue and green. Dust retail from $90-160 depends on the lens. The sun glasses dose not fog up even if they fit close to your face. The fit is very secure and snug. You don have to worry about the Dust to slip. The Zebra lens works great and the color is red-brown ish. A very comfortable lens to wear. Design and fit makes you feel fast and you will definetly stick out in the crowd with these dust and maybe leave soem of the other runners in the dust! With Dust ranging form $90-$160 you can find a very stylish eye wear that fits your wallet. With out no doubt the Dust is the best looking eye wear in the test. The fit is snug and fast and you don't need to adjust the Dust much to get the right fit. I can not comment on the other lenses but the Zebra lens has been working great with out any fogging. Awesome looking Dust will make you stand out in the crowd for sure! Bollé has been making eye wear for all categories of sports for decades and it really show in the Vortex eye glasses. 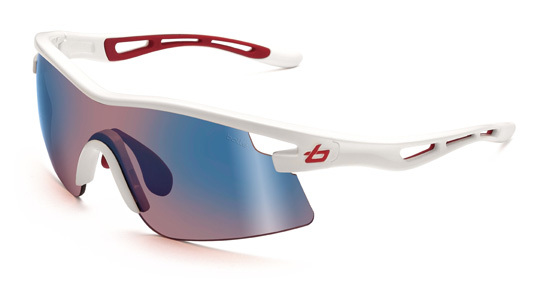 Vortex is a really well built sun glasses that helps to preform at your highest level. Bolle also offer a wide variety of glasses and if Vortex does not fit your bill, you will find a high quality product that does, like the Draft. Frame and noose part is adjustable but did not need any adjustments to fit before my first run. Lens offer Carbo glass for protection and Photochromic lenses automatically lighten and darken to adapt to the ever-changing environment. The Vortex runs really smooth and comfortable during your run, the Vortex did not need any adjustments before my first run.. I used the Vortex during a 30K mountain run and I did not notice them at all. The Photocromic lens adjusted to the different lights really well and I did not have any issues with sunlight or more darker parts of the course. Lens has not fog up during my runs with Vortex. Vortex retail for $189 and are the most pricy Sunglasses in the test, but I definitely feel like they are worth it. You will get high quality product that stands out in quality, no questions about it. If you don't have to worry about the eyewaear when you are standing on the start line, its is a a great grade. With Vortex you don't have to worry at all. Vortex will bring you to the finish line! Thanks for the details you shared in this review. Sometimes the most important thing seems to be how the eyewear looks but for me, it is more about how it performs. Looks are a close second. I won't buy anything that makes my face feel uncomfortable. Some of them fit too closely and you feel like you don't even have space to blink. Others are very heavy so you are always aware that you are wearing them. Thank you for this informative blog on the running eye wear and i would like to share that running glasses are good wear while riding bicycles and also with other fast moving actions. they are not he fashion wear but to give a protection from dust so that your can perform the action without stopping or any hindrance created by the dust particles or other environmental factors. Good things are take time to happen but if they happen we are very happy for it. Buying designer eyewear UK online is also give you this type of happiness. Because after order we need to do wait for our favorite.